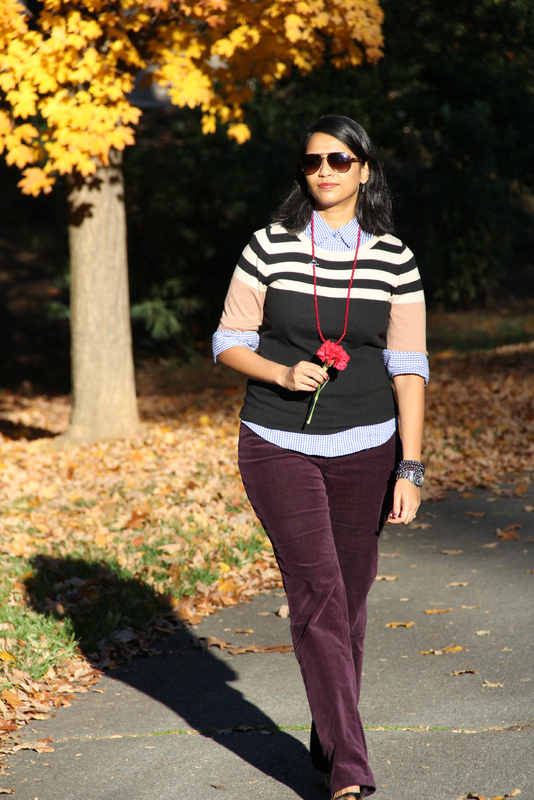 This outfit is from one of those work-week days, when I decided to mix prints (color-block and gingham checks) with a hint of leopard print on the shoes and felt that it would a waste to not capture it for the blog. I recreated this look on the following weekend and here it is for you to browse through. I think it's safe to say that gingham checks are as versatile as polka dots - very easy to mix prints or wear them as-is. 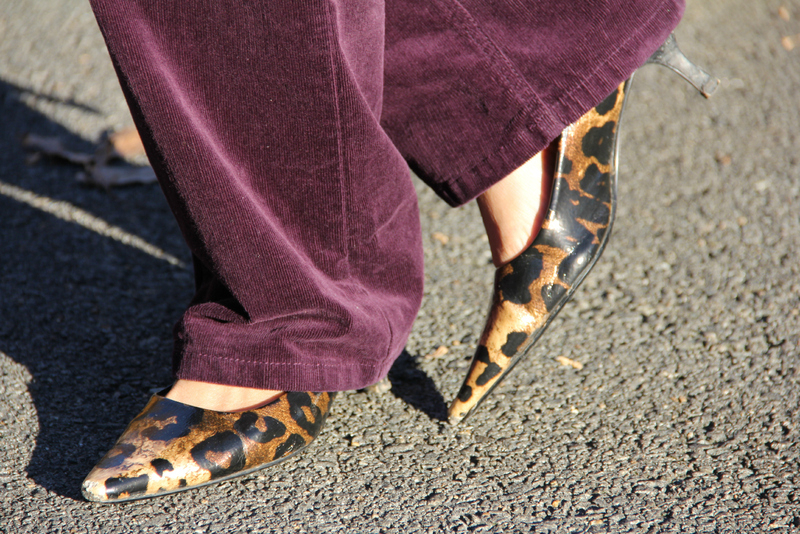 I felt a little daring and paired the outfit with my fav leopard print kitten heels (one of my best purchases!). Red lips and a red beads completed the look and added a little bit of oomph for the Saturday excursion with hubby. What do you think? 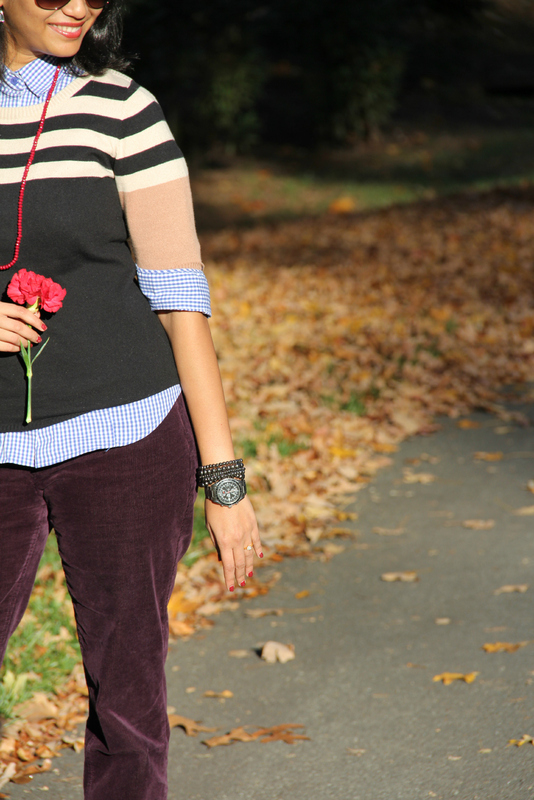 Would you try mixing prints - color-block and gingham checks? Do tell..
Lovely outfit and great pics. The red beads & the leopard print added the perfect touch!